The binding offer submitted by Loftleidir Cabo Verde to acquire 51% of the shares of Cabo Verde Airlines has been accepted. The share purchase agreement was signed on Friday, March 1, 2019. Icelandair Group believes that there are opportunities to build the company up as a strong hub and spoke airline with Cape Verde as a connecting hub between continents. Cabo Verde Airlines will benefit from the experience and knowledge within Icelandair which has a similar business model. Loftleidir Icelandic, which is a subsidiary of Icelandair Group, holds a 70% stake in Loftleidir Cabo Verde, and other investors 30%. The acquisition of Cabo Verde Airlines does not have a significant effect on Icelandair Group’s financial statements since Cabo Verde Airlines will not be reflected in the Group’s consolidated financial statements. The share will be classified as an associated company. Today marks the beginning of the new Cabo Verde Airlines. This is the result of a long process that took time, dedication and, essentially, reliance from the Cape Verdean Government and investors. We are looking towards the future and in making Cabo Verde a point of connection between continents. Thank you for your trust and come with us in this new journey! This entry was posted in Cabo Verde Airlines, Icelandair Group and tagged Cabo Verde Airlines, Icelandair Group on March 2, 2019 by Bruce Drum. Our mission is clear: to improve the Company’s profitability and strengthen our operations for the future. Changes in the Company’s organisational structure have already been made to reflect our emphasis on our core operation, which is aviation. We are currently taking a number of measures, both on the revenue and expense side, which should result in improved operations in 2019. These measures include modifications in capacity to achieve a better balance in the Route Network between Europe and N-America, which will facilitate control and maximize revenue. We have also placed increased emphasis on ancillary revenue and on strengthening our sales and marketing activities, as well as an implementation of a new revenue control system is in its final stages. Furthermore, in the spring 2019, a new connection bank will be added alongside the current connection bank, which will improve resource utilisation as well as increase capacity and revenue. In addition, the Group’s domestic flight operations are currently under review. 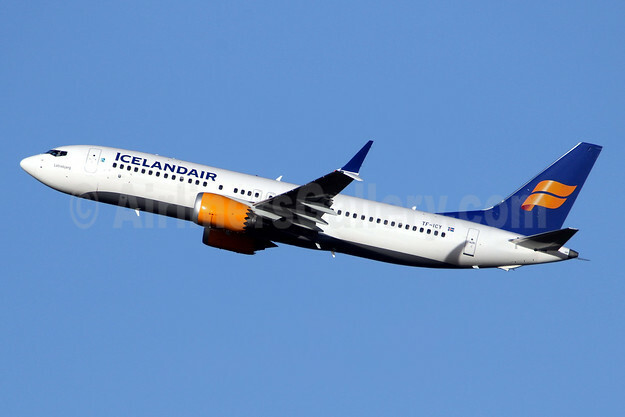 Top Copyright Photo (all others by the airline): Icelandair Boeing 737-8 MAX 8 TF-ICY (msn 44354) LGW (SPA). Image: 944878. This entry was posted in Icelandair, Icelandair Group and tagged Boeing 737-8 MAX 8, Icelandair, Icelandair Group, msn 44354, TF-ICY on February 13, 2019 by Bruce Drum. The acquisition of Icelandair Group of Wow air, based on a purchase agreement signed on November 5t, 2018 has been cancelled. Both parties agree on this outcome. Icelandair Group hf. issued a stock exchange release last Monday, November 26, 2018 stating that the company estimated that it would be unlikely that all of the conditions in the share purchase agreement would be fulfilled by the shareholders’ meeting on November 30, 2018. That situation remains unchanged. This entry was posted in Icelandair, Icelandair Group, Wow Air and tagged Icelandair, Icelandair Group, Wow Air on November 29, 2018 by Bruce Drum. Icelandair Group has entered into a share purchase agreement to purchase all shares in the airline WOW air. 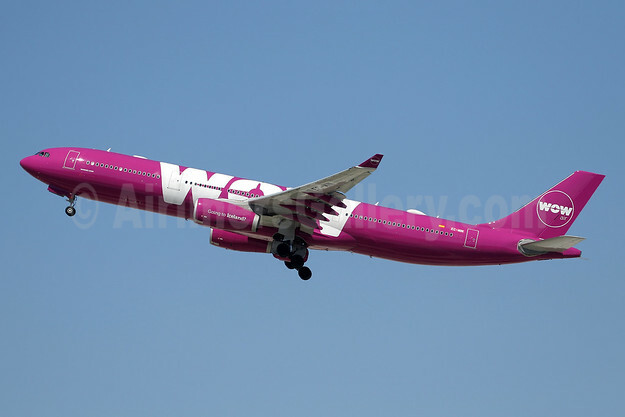 Top Copyright Photo (all others by the airlines): Wow Air Airbus A330-343 EC-MIN (msn 1607) LAX (Ron Monroe). Image: 944276. This entry was posted in Icelandair, Icelandair Group, Wow Air and tagged Airbus A330-343, EC-MIN, Icelandair, Icelandair Group, msn 1607, Wow Air on November 5, 2018 by Bruce Drum. 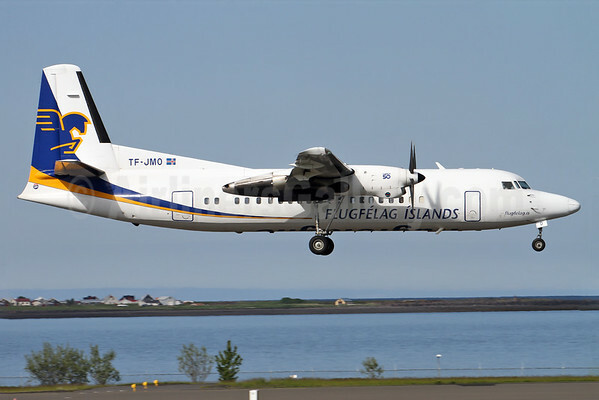 All five Fokker 50 aircraft that Air Iceland operates will be sold and three Bombardier Dash 8 Q400 will replace it. After that Air Iceland will operate five aircraft, three Bombardier Q400 and two Q200. The Q400 aircraft can seat 74 passengers while the Fokker 50 takes 50 passengers. 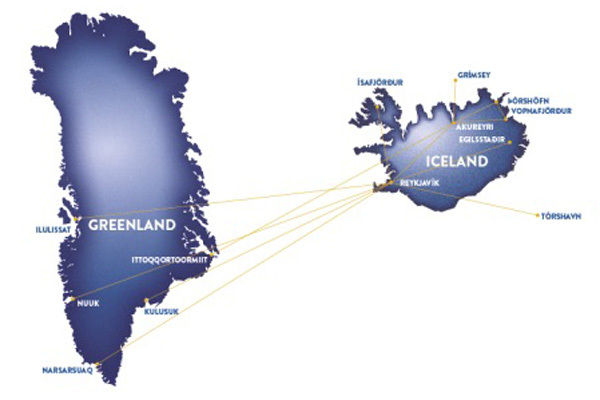 Air Iceland Route Map: Air Iceland flies domestically in Iceland and adjacently to Greenland. Air Iceland sees opportunities in new markets. The company will be better equipped to service the domestic market as the aircraft are larger and travel time will be shorter. The airline aims to increase the number of foreign tourists on board its aircraft going forward. 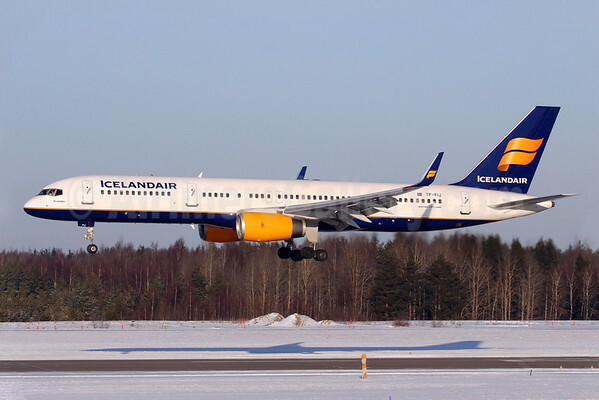 In 2015 Icelandair will operate 23 Boeing 757-200 that take 183 passengers and one 757-300 that takes 220 passengers. The company owns 22 of those aircraft and leases two that will be redelivered this autumn. Above Copyright Photo: Boeing 757-208 TF-FIN (msn 28989) taxies at London (Heathrow). LHR is a likely place where the larger Boeing 767-300 would be utilized along with New York (JFK). It has been decided that they will be replaced with two Boeing 767-300 aircraft that take 260 passengers that will be added to the route network as of the spring of 2016. Larger aircraft are more feasible due to high load factors on many routes all year round and limited number of landing slots on certain airports. The increase of the fleet in the last few years has made it more economical to have more than one size of aircraft in the fleet. The Boeing 767 aircraft is similar to the 757 in terms of maintenance and crew training and the airline has experience in operating that type. Above Copyright Photo: Daniel White – Bruce Drum Collection. 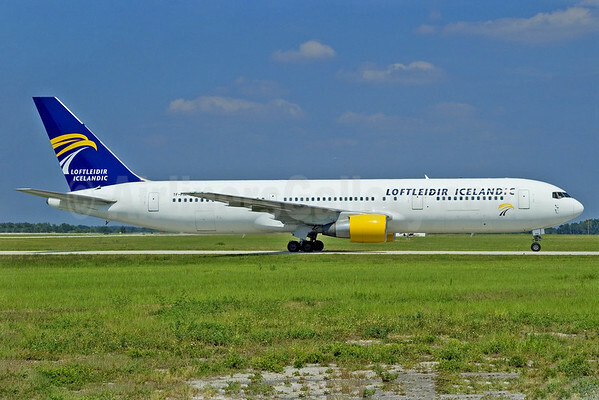 Icelandair is very familiar with the Boeing 767-300 as subsidiary Loftleidir Icelandic has been a past operator of the type. Boeing 767-3Y0 ER TF-FIA (msn 24953) taxies at Sanford (SFB). Icelandair Group’s subsidiary, Loftleidir Icelandic, has operated 767 aircraft in leasing projects that have been maintained by Icelandair. The aircraft has longer range than the 757 which will create new opportunities for the route network. Bjorgolfur Johannsson, President and CEO of Icelandair Group: “Operating one type of aircraft has been very economical for Icelandair but when the route network and the fleet reaches a certain size it becomes more feasible to have a broader range of aircraft in the fleet. High load factors all year round and limited number of landing slots on certain airports also support this decision. In terms of Air Iceland a simpler and more economical fleet will make the operations better as crew training will be simpler. Top Copyright Photo: Wingnut/AirlinersGallery.com. The five Fokker F.27 Mk. 050s (Fokker 50s) will be sold. Flugfelag Islands-Air Iceland Fokker F.27 Mk. 050 TF-JMO (msn 20205) lands at the Reykjavik (RKV) base. This entry was posted in Air Iceland, Icelandair, Icelandair Group and tagged 20205, 24953, 28989, 757, 757-200, 757-208, 767, 767-300, 767-3Y0, A6ETF, Air Iceland, Boeing, Boeing 757, Boeing 757-200, Boeing 767-300, Bombardier DHC-8-200, Bombardier DHC-8-400, Bombardier Q400, CGTSF, DHC-8, DHC-8-400, DHC-8-402, F50, Fokker, Fokker 50, Fokker F.27, Fokker F.27 Mk. 050, Heathrow, Iceland, Icelandair, Icelandair Group, LHR, Loftleidir Icelandic, London, Q400, reykjavik, RKV, Sanford, TF-FIN, TF-JMO on March 17, 2015 by Bruce Drum. “The Group’s performance in 2014 exceeded management projections from the beginning of the year, with EBITDA at the upper limits of the Company’s most recent earnings estimate. Net profit amounted to $66.5 million, up by 18% from last year. EBITDA amounted to $154.3 million, up by 7% between years. Results for the fourth quarter were in line with the earnings estimate published at the end of last October. The strong performance was the result of a number of interacting positive factors, including falling fuel prices, increased demand in the North Atlantic market – which was met by increased supply – and good results from charter operations. The depreciation of the euro against the US dollar had a negative impact on the Group’s operations, and in addition the maintenance cost of cargo aircraft was significantly higher than anticipated. 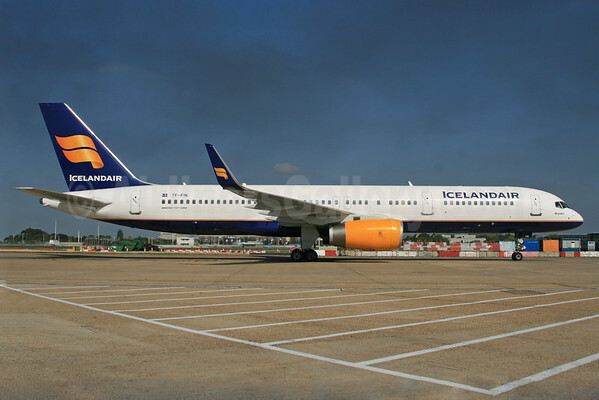 As of 2010 Icelandair Group’s operations have shown growing momentum. Income has grown by $395 million, amounting to $1.1 billion in 2014. In recent years we have continued to close the ranks of our staff and secured a steady growth of our infrastructure in preparation for the future. Prudence is and will continue to be the key to long-term profitable growth for the Company. A strong equity position and underlying cash flow will underpin our ability to undertake profitable investments to improve our competitiveness for the long term. We have a clear future vision and an outstanding staff, to whom I attribute first and foremost the good results we achieved last year. We are assuming continued profitable organic growth in Icelandair Group’s operations in 2015. The Group’s international flight schedule will be 14% larger than in 2014, and a significant development in the Company’s hotel operations in Central Reykjavik is foreseeable. On the whole, prospects in the Icelandic tourist industry are positive, and we also believe that the outlook for cargo and charter operations in 2015 is encouraging. Copyright Photo: SPA/AirlinersGallery.com. 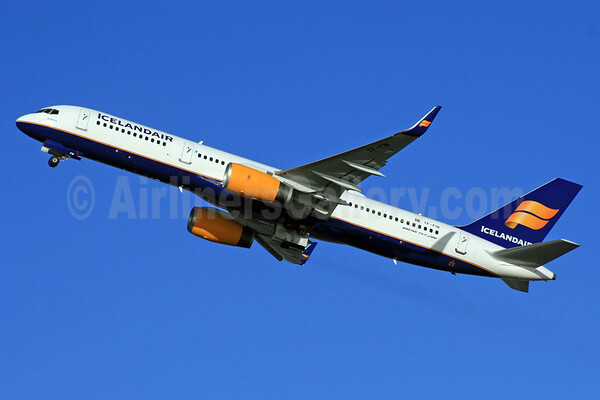 This summer Icelandair will operate 24 Boeing 757 aircraft, one aircraft more than was previously announced. Boeing 757-208 TF-FIN (msn 28989) climbs away from London (Heathrow) bound for Keflavik near Reykjavik. This entry was posted in Icelandair, Icelandair Group and tagged 28989, 757, 757-200, 757-208, Boeing, Boeing 757, Boeing 757-200, Heathrow, Icelandair, Icelandair Group, LHR, London, TF-FIN on February 11, 2015 by Bruce Drum. The Board of Directors has proposed a dividend payment of ISK 2,150 million to shareholders in 2014, which corresponds ISK 0.43 per share. “The Company’s performance in 2013 is good and considerably better than our budget projected in the beginning of the year. Profit before taxes amounted to $71.0 million, up by $13.6 million between years. Like recent years, last year was characterised by profitable organic growth, which is in line with our strategy. Capacity in our route network was increased by 16% from last year, and the number of passengers increased by 12%. The Company’s largest market in international flight services is the market between Europe and North-America, which has been the principal driving force of our growth in recent years. The tourist market to Iceland has also shown significant growth, and the demand for domestic tourist services has increased rapidly. Concurrently with this expansion, companies within Icelandair Group have found opportunities for profitable growth. Copyright Photo: Stefan Sjogren/AirlinersGallery.com. Boeing 757-208 TF-FIJ (msn 25085) lands in Stockholm (Arlanda). This entry was posted in Icelandair, Icelandair Group and tagged 25085, 757, 757-200, 757-208, Arlanda, ARN, Boeing, Boeing 757, Boeing 757-200, Icelandair, Icelandair Group, Stockholm, TF-FIJ on February 16, 2014 by Bruce Drum.